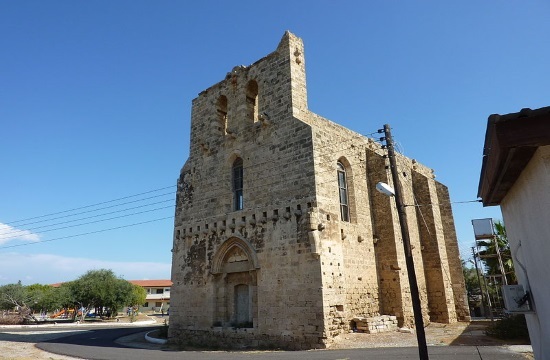 The project completion ceremony of the renovated church of Saint Anne and the Tanners’ mosque was held on Wednesday, March 20, 2019 in the walled city of occupied Famagusta. Renovation works on the two heritage sites completed by the bi-communal Technical Committee on Cultural Heritage and the United Nations Development Programme (UNDP), with EU funding. Addressing the ceremony, the Greek Cypriot head of the Technical Committee for Cultural Heritage, Mr Takis Hadjidemetriou, said, inter alia, that the completion of the project manifests a special day in our common homeland; the land of our history and our destiny, and underlined the work carried out by the Technical Committee against the deterioration and destruction of our cultural heritage.